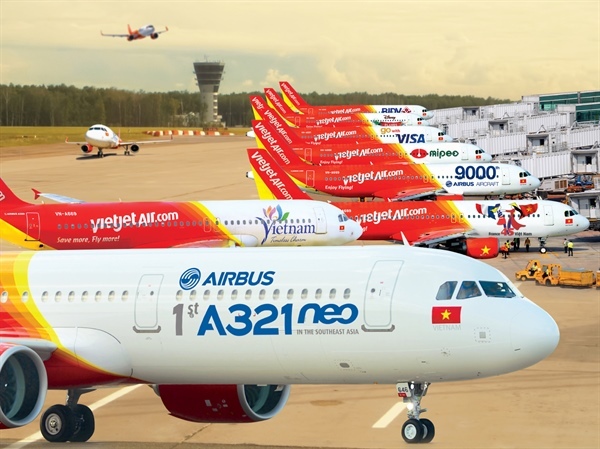 The discounted fares, which are available at www.vietjetair.com from noon to 2pm, are for all of Vietjet’s domestic and international routes and those of ThaiVietjet – a joint venture of Vietjet and Thai airline Kan Air. Earlier this month, the airline announced it had earned total revenue of VNĐ53.57 trillion (nearly US$2.23 billion) and pre-tax profit of VNĐ5.81 trillion ($250 million) in 2018. Despite rising oil prices, the company’s air transport revenue reached VNĐ33.78 trillion, up 50 per cent year on year, while air transport profit before tax saw a rise of 49 per cent.